This striking swivel armless stool features delicately curved legs and sleigh-inspired backs, with a hammered effect featured on the back. The swivel stool is enhanced by a microfiber, medium beige seat and classic black finish. This is old world meets new world. Sturdy tubular metal and steel construction. Faux suede is 100 percent polyester for easy care. Dust with specially treated dust cloth. Counter height barstool design. From the Hillsdale seating collection. 41 1/4" high x 20 1/2" wide x 20 1/2" deep. Counter height swivel bar stool from Hillsdale. Hammered copper back. Black finish over tubular metal and steel frame. 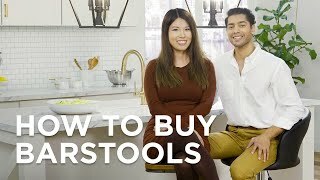 Stools are a welcomed addition to my newly remodeled kitchen. I have received many compliments on how comfortable and sturdy they are as well as their attractive design. The picture in the advertisement do not do them justice! In the kitchen. I like the way it looks. A gorgeous X-style design fills the open back of this distressed glacier swivel counter stool with a graphite leather seat.